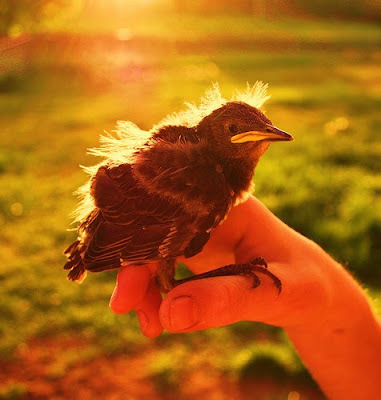 I thought this little bird in the sunrise was very cheery for a Monday morning! I hope you all had a great weekend! Mine was very nice, full of laughs and seeing old friends. I also got a reminder that you should never have regrets about decisions you make. Even if things don't work out as planned it may just open up new doors or at least be a learning experience. I hope you all have a wonderful week! What do you have going on? This week is the first week back-to-school for the kiddos! Yikes! Thanks for the reminder and I hope you have a bright and cheery Monday, too. It's a bit gloomy on my end. And then I drove to work.